Ryan Singer sits on the edge of that terrible time in everyone’s life when they realize they’ve either already started their career or need to. 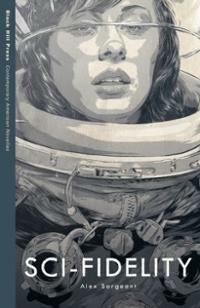 Ryan tries his best to navigate this world where awkwardness, New Media, science fiction, love, drugs and intrigue all slam together with hilarious and tragic consequences. For years, Mara Tucker has used her power of manipulating flames to punish those who have done her wrong. But things are changing in the town of Jericho. Rampant disappearances have forced Mara to seek out others with special powers. 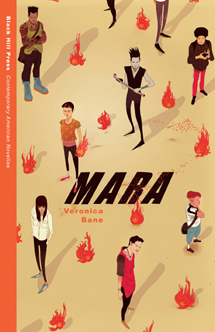 In a story that confronts the violence and turmoil of adolescence, Mara and a group of other “unusuals” like her grapple with new alliances and the villains pressing in all around them. In the town of Jericho, a group of misfit teenagers haunts the underbelly of their society. Armed with the ability to manipulate different parts of nature, these teenagers fight for their right to stay alive. In the months following an attack on their lives, danger still lurks around them. Those behind the original strike have risen from the ashes, and new powers are beginning to reveal themselves. With this mysterious threat imminent, Mara, Miyuki, and the rest of the Unusuals must stand together to fight. However, time is running out for the group, for someone—or something—is hunting them, and this time around, not all of them will survive. A year after graduating high school, three friends find themselves growing apart. In a moment of spontaneity, they decide to leave behind what so many have told them is the “real world,” and backpack across a small island off the coast of Southern California. Over the course of three days on Santa Catalina, they discover what it means to enter adulthood, the importance of home, and how woefully unprepared they are for their adventure. Avalon, Avalon is a story of the unexpected power of nature and time, and the deep importance of friendship to navigate through it all.